An essential part of child safety equipment, small car seats could save your child’s life in the event of an accident. You should first learn everything that you will need to know about car safety in advance to get the best idea of how it works. Even if you plan to take your baby home from the hospital, from day one, you will need a car seat. Every state across the nation has passed laws that require the child to be properly restrained in the car seat for his or her own protection. Usually, he will need the car seat until she has reached at least seven years of age. Based on statistics from ASecureLife.com, the leading cause of death in children ages 4 to 12 is car accidents, and it’s the second leading cause of death in children ages one to four. What Should You Look for When Selecting a Car Seat? Before we begin, you should understand the different types of car seats and their advantages and disadvantages. A bucket-style car seat will shape itself to the body of the baby. These small car seats tend to be lighter, which is one of the reasons that new parents have taken a liking to them. The disadvantage of this one is how you can’t move around in it very easily. While car seats can cost a lot, they’re a necessary piece of equipment. Convertible car seats will function as a rear-facing seat intended for toddlers and babies. They face the rear or the front depending on the type that you have chosen to buy. The best convertible car seat for small cars nowadays will have the ability to hold a child of 40 pounds in a rear-facing position. Meanwhile, forward tends to be even better because of how you can fit up to 70 pounds in a forward position. It is safest for your child to have a rear-facing car for as long as you can, however. The American Academy of Pediatrics has said that you should keep your children in a rear-facing car seat until after the age of two, in fact. This is the type of car seat that get do everything. In fact, it’s likely the last car seat that you will ever have to buy. When you can shell out anywhere from $100 to $300, wouldn’t it be great if you wouldn’t need to buy another car seat again? A 3-in-one car seat can either be a convertible car seat, or it can be a combination of the two car seats. Sometimes this car seat has even been called the all-in-one car seat because of how it can do almost everything you need. However, it doesn’t have a harness weight limit of 100 to 120 pounds. That’s actually a misconception about this type of car seat. Not all of the three-in-one car seats are the same, and you have to keep this in mind when buying them so that you don’t get fooled. 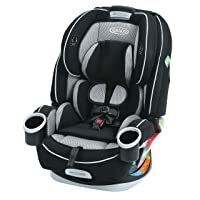 If you’re interested in the bucket-style small car seats, then you may want to look at buying the Graco SnugRide Click Connect 30. This lightweight car seat makes it super easy for new parents to carry from the car to the stroller, and you can carry it everywhere else too. 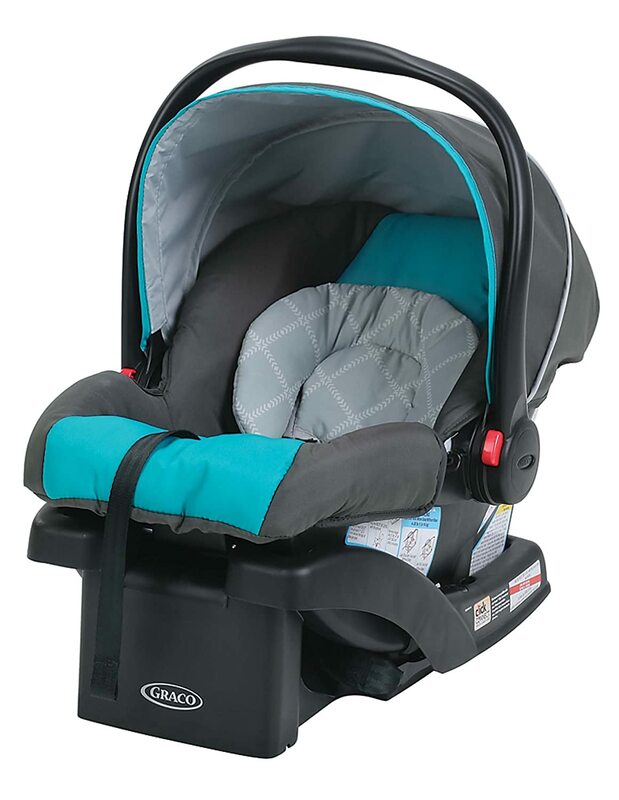 As a car seat, you can attach it to the Graco Click Connect stroller, which sells separately, unfortunately. Whether taking him from the car or to the house, it has become easier than ever before to take your baby on the go. If you are asking if this car seat comes with the car seat base. The answer is yes, it does. 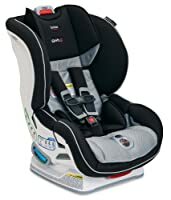 From 2012 to 2014, the Graco SnugRide Click Connect 30 was the best selling car seat on the market, and it had a majority share of 43 percent of all the car seats sold on the market. In addition, the Click Connect technology makes it much easier than some of the other choices. The latch-equipped technology installs without much of a problem. Excellent quality for the low price. The fabric comes waterproofed and safe. This car seat can be cleaned quite easily. Some people might prefer softer materials used for a car seat. The headrest isn’t quite soft and sufficient enough for a newborn baby. The harness straps can only be adjusted from the back. Watch the video below to see how much space this car seat takes. 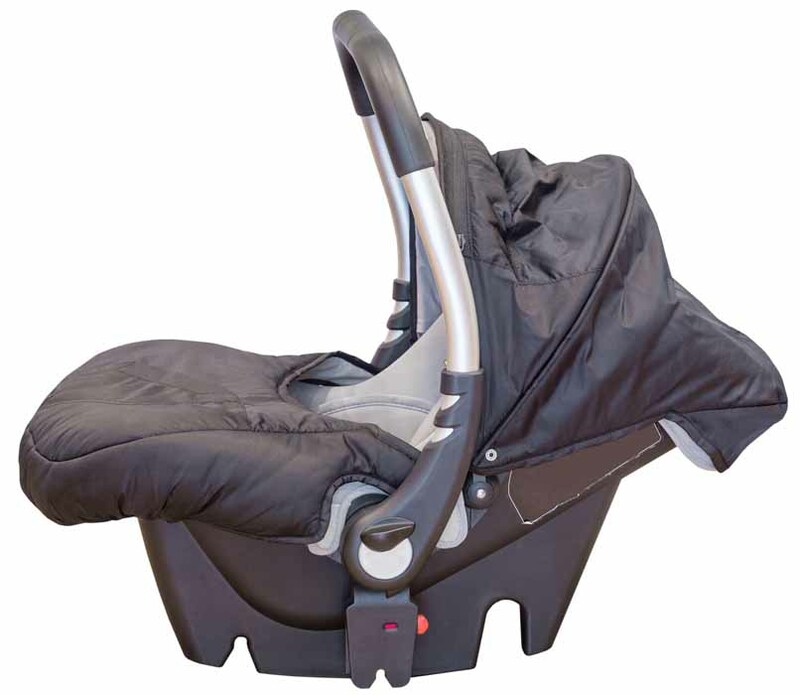 With the proper installation of this car seat, you can make your baby’s world so much safer. This is probably one of the easiest car seats that you will find in terms of installation. To sum it up, it works simply, accurately and securely. Another thing that people like about this car seat is how it feels like premium quality for their baby. This car seat comes with one base, and you can buy additional bases for it if the need exists. Another plus, the blanket covering comes off. The head padding is perfect and far superior to other car seats. Roomy car seat that feels well cushioned. The infant insert and strap cover seemed a little rough. The car seat base sometimes comes loose. The Size4Me 65 features a cover, and you can quickly unsnap the cover at any time to wash it, and you don’t have to uninstall the seat. The seat of this car seat also cleans up quite easily. Some of the other excellent features that you will find with this product include a one-hand harness and a headrest that you can adjust as needed. With the Graco car seat, you can keep your child safe and comfortable. 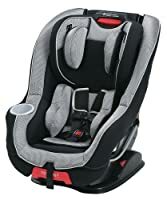 This car seat does not connect to any strollers, and the car seat has been FAA approved as long as you have used the five-point harness on the car seat. The cushioning of this car seat is excellent. Excellently sized car seat if you have a compact vehicle. The fabric used was of soft and premium quality materials. The car seat has been FAA approved. While it’s lightweight, the plastic feels too thin. This car seat feels a little bit bulky. You can open the front of this car seat, and the buckle across the seat will click shut. This is all that needs to be done for a solid installation. The seat never budges, and you can travel without worrying about your child being hurt. Another one of the cool things about SafeCell Impact Protection is how the system has been fully integrated with safety components that you can only get with Britax car seats. Before you buy this product, however, you should understand how it doesn’t come with the National Safety Mark for Canada, which makes it usable there. The car seat feels sturdy and comfortable. You have SafeCell Impact Protection. The bottom strap goes between your kid’s leg for safety. Britax sells car seats separate for Canada and there’s no National Safety Mark for Canada with this car seat. The price sits on the higher end of the spectrum. You can see in the video below how Britax seat looks like inside a car. 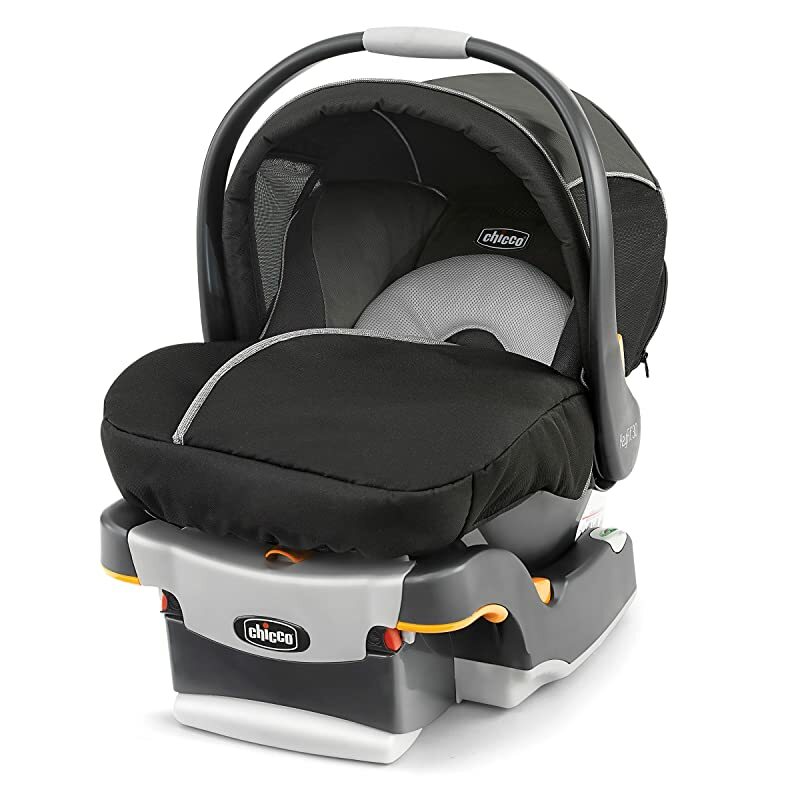 The Graco Milestone is one of your all-in-one small car seats. This rear-facing infant seat can hold anywhere from five to 40 pounds, and the forward facing car seat will hold anywhere from 20 pounds to 65 pounds. You have an exclusive InRight LATCH attachment that makes the second attachment much easier. You can adjust this car seat quite easily, and you don’t have to worry as much about the rethread because it is safe to adjust the safety harness system to ensure that your child will always feel safe and secured. It’s quite simple, and you can adjust the harness as needed. You don’t have to worry about your baby getting hot in this car seat, which is peace of mind. This car seat, however, doesn’t have a base, which isn’t great, but it’s still quite easy to switch it out from vehicle to vehicle. You can install this car seat easily. Attach the seat with LATCH easily. The ease of buckling and unbuckling comes as a great advantage. Not enough recline with this car seat. Hard to get a snug fit if you don’t have a LATCH system. This Graco Milestone video review may help you to know more about this seat. Graco 4Ever, another excellent choice as a four-in-one car seat, you can adjust the safety harness system quite easily without it becoming a chore. You can also change the height of the headrest based on the height of the harness, and you can do this with a single motion. You can easily give this growing headrest to your child for the right support. Another advantage of it is how you also have a steel reinforced frame that will protect your child in the event of an accident. For those wondering if this car seat will fit into a stroller, the answer is that this car is intended as a convertible. This means that it’s meant for you to install into your car and leave it there. You won’t be able to transport this car seat with your child in it, which some people might see as a bit of a disadvantage. This is the type of car seat that boasts premium-grade materials that feel soft to the touch. This car seat has a nice height to it for the headrest. The shoulder pad straps have extra comfort. Doesn’t have much for recline options. You only get a room for one cupholder here. When you go shopping for a car seat, safety will almost always be one of the first things that come to mind. You only have one way that you can take a baby home, and that is through having a car seat. You will want to look for a car seat that has compatibility with the LATCH system because this helps you to fasten the base of the car seat more easily, and you don’t have to use seatbelts. Next, look at the straps of the car seat. This will save you trouble later. For example, are they easy to adjust, and will they be easy to adjust as the baby continues to grow? You would ideally want to have straps that you won’t have to worry about rethreading later. While the process has continued to grow much simpler over time, you still need to take special caution with the installation. In fact, it’s recommended that you install this car seat and have the work check with a professional. Always be sure that you have chosen the right car seat for your child’s age and her height and weight. 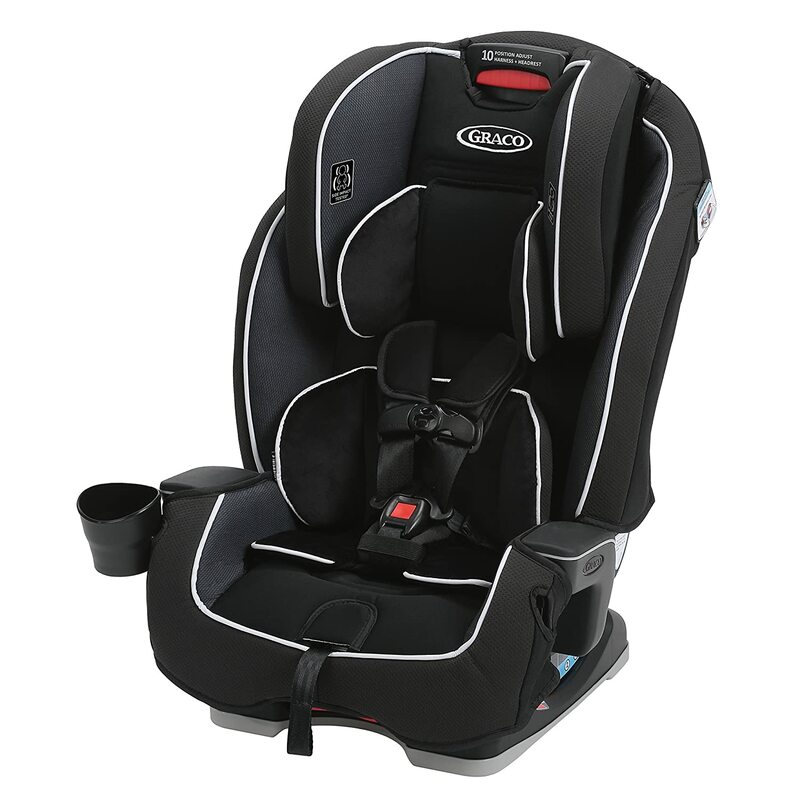 For newborns and infants, you will want a rear-facing car seat. Meanwhile, a forward-facing car seat can work for a child of two years old. If you choose a booster seat, your child should weigh at least 40 pounds. They also should not graduate to adult seating until they’re between 4’9.” This will usually be anywhere from ages eight to 10 years old. It’s important to remember how to properly restrain your child because around one-fifth of the children of fatal car accidents were not correctly restrained, according to the Journal of Pediatrics. Also, a higher quality car seat can protect your child from the dangers of car. That’s not to say that nothing bad could happen, but it does say that they will be more protected because of newer safety features. Photo & Video credits: Amazon, CarseatBlog, Everyman Driver, Good Convertible Car Seat Review, Baby Gizmo, Netmums’ Influencers Network, Really, Are You Serious?. The convertible car seat looks like a great investment!